Fine Art Reproduction. 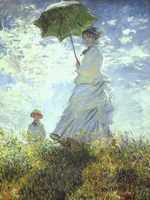 100% Hand Painted Fine Art Reproduction and Museum Quality Oil Painting Reproductions including Impressionist & Impressionist Painting. We are the experts in affordable museum quality art reproduction. 100% Hand Painted Reproductions of Fine Art on Canvass. Free Shipping on ALL Fine Art Reproduction. Ann Ford Gainsborough, Thomas , 1727?88, English portrait and landscape painter. Gainsborough is celebrated f..
Blue Boy Gainsborough, Thomas , 1727?88, English portrait and landscape painter. Gainsborough is celebrated f..
Lady Ligonier Gainsborough, Thomas , 1727-88, English portrait and landscape painter. Gainsborough is celebrated f..
Lord Ligonier Gainsborough, Thomas , 1727-88, English portrait and landscape painter. Gainsborough is celebrated f..
Mary, Countess Howe Gainsborough, Thomas , 1727?88, English portrait and landscape painter. Gainsborough is celebrated f..